Fab, Fast and Fun Caricatures in Bournemouth. From table hopping at Weddings, Walkabout Artist at Award Ceremonies to a Event Cartoonist at a 50th birthday blast and loads more. He’ll humour your guests, and capture convincing funny faces in minutes. Conversation piece! Groves Caricatures (best known as Dave) is available for hire at weddings, parties and events in the Bournemouth area, poole, christchurch, wimborne minster etc and throughout Dorset. A few venues recently visited in bournemouth are the Miramar Hotel, Charlton Hotel, the Queens Hotel and not forgetting the beautiful Parley Manor. 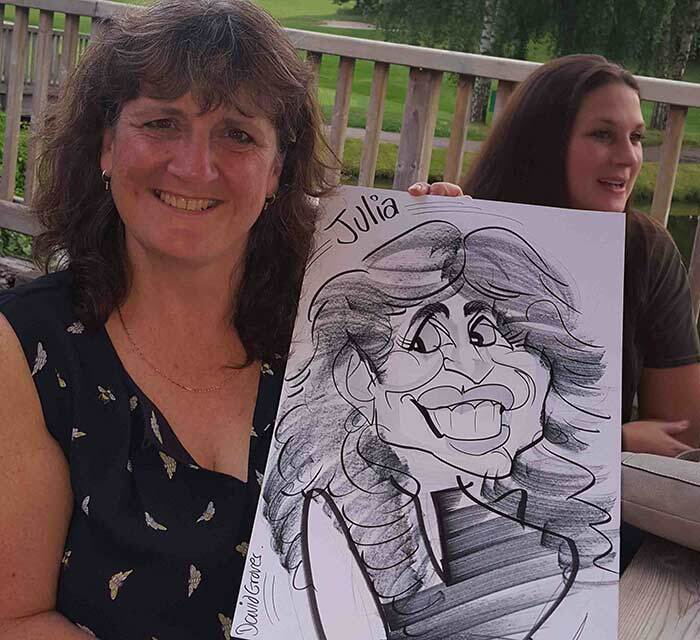 A few venues recently attended to draw caricatures at in the Poole area include The Dudsbury Golf Course Hotel, The Blue Boar Pub and the Hotel Du Vin in Poole Harbour.